I have been missing blogland big time. It's report card time and here I am procrastinating writing a post! I have plans to get right to it afterwards. But I just had to pop in and say hello and that I miss everyone. This month has been overly trying for me in a number of aspects. Overwhelming to say the least. Thankfully, we will be breaking in December for two weeks and I am counting the days!! 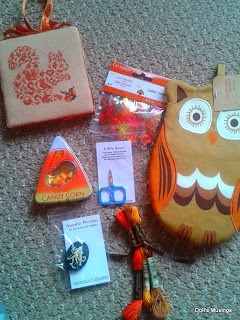 Today I want to share with you a lovely giveaway win that I received from Shelly, An Arizona Stitcher. 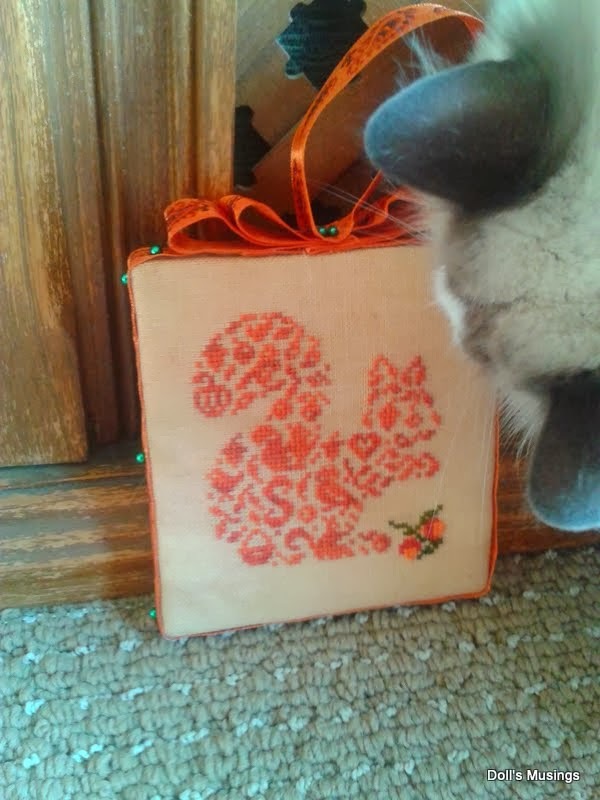 She sent me the most wonderful package and stitched me the most adorable little squirrel. I marvel at her skills at making pinkeeps. I have this sweet little friend hanging on my doorknob so I see it everyday. Thank you again Shelly for such a lovely package and making me smile! 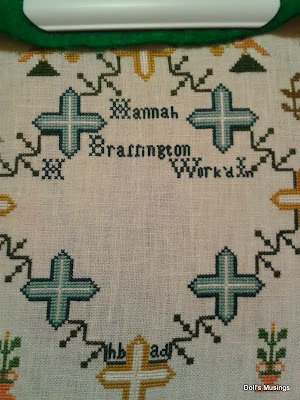 As for stitching, there has been some. I stitch on Friday nights until quite late because I miss it so much. I've almost finished Jingle Jingle by PPS. I just need to add a couple of snowflakes in the background. I tried taking a good photo of the piece but the camera just wouldn't capture the true colours of the design. Too bad. The red is really nice and cranberryish!! I've also stitched 1 of the 3 giveaway gifts and started the other two last night. I won't include photos of those until they reach their new homes. After reports, I hope to stitch on them this evening. That's my motivation to get some reports finished!! 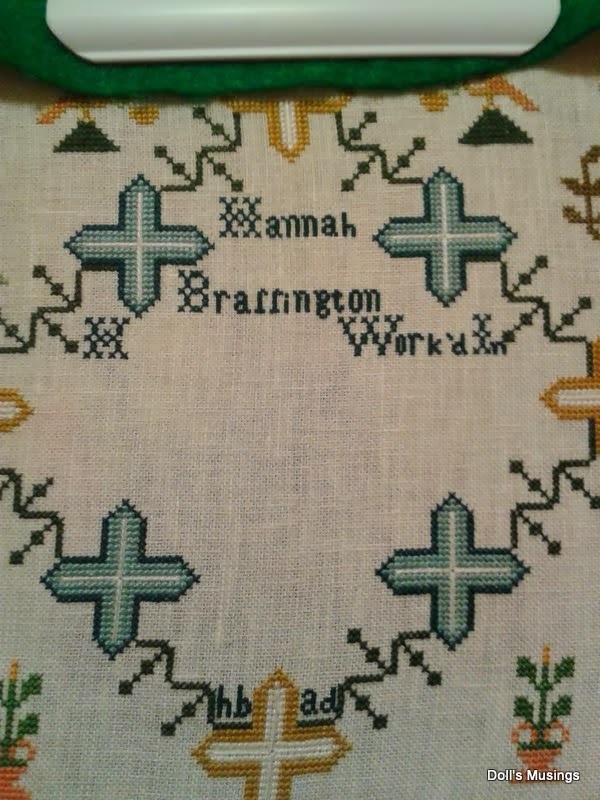 Hannah Brassington is now complete! Yay!! I will take some photos of her another time when the light is better. The 1 over 1 stitching was a pill to do and I made a number of mistakes but I fudged along and went with it. I think I'll not start anything big quite yet as Christmas is coming and I have a few projects/exchanges I need to finish first. I usually like to start a new sampler in the new year. Gives me something to look forward to other than my birthday which I am dreading. I don't want to get older!! I truly appreciate all of your love and prayers for my husband. He still suffers but we have found that if he avoids gluten and dairy, his thyroid doesn't instantly flame up and his pain is not as severe. We still have many tests to go through to find out why there is pain, when there shouldn't be. Most people who have Hashimoto's or thyroiditis don't have issues and can manage life with synthroid. Not the case for my husband. His form is very rare and the doctors aren't being very aggressive with his treatment. That means we have to be demanding and aggressive. We still have hope that the inflammation will come down and he can lead a pain free life. Again, thank you for all of your support. I really mean to reply to all of your emails. I'll leave with a few favourite photos I took this month. Take care and hugs to you all!! I am sorry Lee still suffers so. I know how hard it is to be in daily pain with no end in sight.We need to keep praying, and you two need to keep being pushy with the doctors! That's a funny photo of Titus. He looks like he's game for the experience though! Anne, I'm sorry you have the blues but you have good reasons. It sounds like there is progress being made with your husband albeit slower than you'd like. Hang in there! And hey, please don't say you are dreading another birthday! Because I am much older than you (ahem) I can say just be thankful, you beautiful girl, that you have another year to celebrate Life! Sending you hugs! The picture of Titus is so funny. Your stitching is lovely and the gift so pretty . I love the JBW designs. Sure hope your husband improves. Pain is no fun. I am having lots of trouble with a knee so I know. Oh my gosh, that pic of Titus is hysterical! lolol! Your poor DH! I had/have Hashimoto's and am on synthroid. His must be very rare indeed. I've never had pain. I sure hope a solution can be found. Pain of any kind is not fun, but if it's ongoing that's even worse. The poor guy. Lovely stitching and wonderful photos. Keeping you your husband in our prayers; hoping he is able to find comfort soon. It's bad enough when we feel cruddy, but when your in pain is miserable. Titus made me smile, how funny! I was all ready to make comments on stitching and well wishes... and then I saw Vampire Titus and rolled on the floor laughing! Your stitching is beautiful as always Anne. Shelly's gift is thoughtful and lovely. Titus and his funny antics will help to keep you young! Sending prayers for your dear husband his treatments will bring a positive, painfree outcome for him. Continuing to pray for your husband my friend. Lovely stitching, & congratulations on the giveaway win! Happy early birthday my dear...and congrats on the giveaway win.. I laughed out loud at the pic of Titus!!! What a funny boy! So sorry to read about the blues ~ 2013 has been rough for many of us ~ so glad to have my stitching and the blogging friends to help! Continued prayers for you and your husband ~ and you all keep on those doctors!! I hope that you find a way quickly to manage the Hashimotos soon and that your husband can be pain free. Your stitching is beautiful. I am glad that you are finding some time for it. I am just counting down the days here until the Thanksgiving break. Titus does look king of scary. Great snap of Titus! Hilarious! But on the serious side, I have been diagnosed with Hashimoto's off and on through the years (different doctors...etc...) but it is not because of pain. That should be investigated more--stay on the doctors! They work for YOU! YOU pay them! Hugs and prayers! your piece, have fun with it. Your stitching is so adorable. 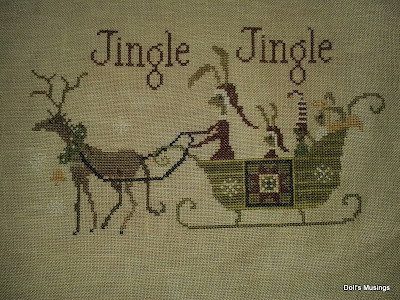 I have always loved Jingle when I saw it on someone's blog. But I love all the Hare patterns. Just beautiful. Good to read that you have found something to reduce your husband's pain. But I hope that the doctors will soon find out how to eliminate the pain completely. Congrats on your finish. 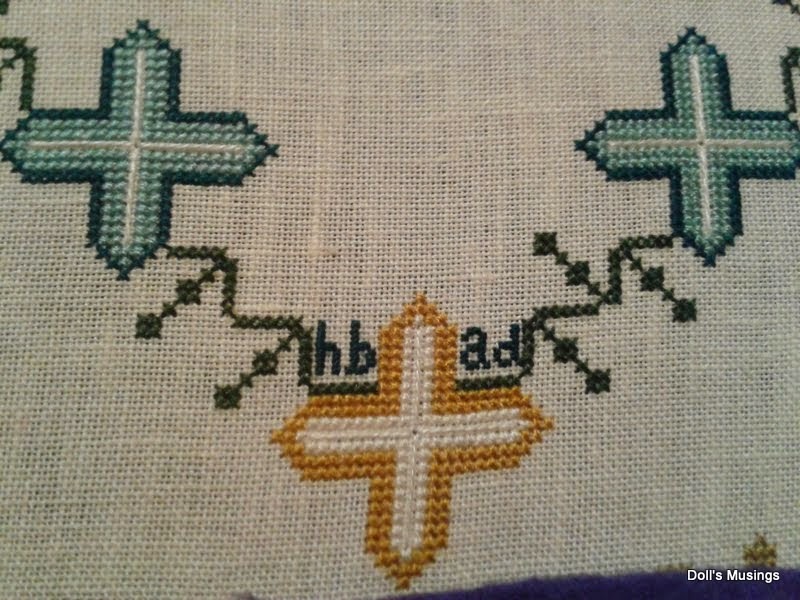 I agree that over-one stitching is a pill. Your gifties are adorable. Glad Titus approves. :) That Vamp pic of him is hilarious! Hope the doctors can come up with a good treatment plan for your DH. Keep after them. Fabulous gift and nice stitching on your Jingle piece and sampler. That cat is a riot! Hope your DH gets the treatment he needs. Good to discover a food regimen that helps. I hope life settles down soon for you. I especially love Jingle Jingle. What a fab design! 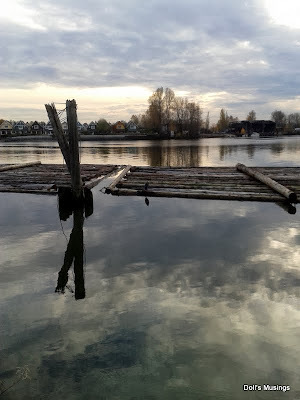 Sorry to hear that Hubby is still having a rough time of it healthwise... not being able to get back to normal can be quite stressful and it must be harder when you are still trying to figure things out - I do hope that things improve really soon for him. Beautiful photos and lovely stitching! I hope you're getting some much-needed rest! 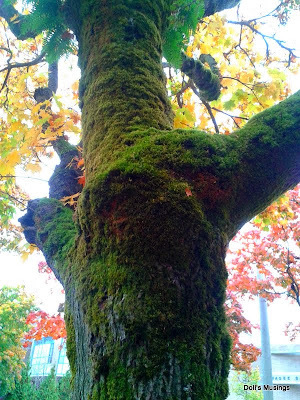 Great post and loved all your photos. Prayers for your husband. Congrats on finishing Hannah! Looking forward to seeing her all done. Sweet gifts from Shelly and love the beautiful squirrel pinkeep. 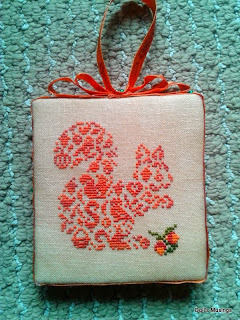 Beautiful stitching Anne! Your giveaway win is adorable and I know how gorgeous the thread colours are for Jingle Jingle as it's patiently awaiting my attention to start it in the dreaded Stash Box! I'm glad you still make the time to stitch, I find it so relaxing when worrying times are troubling me. I have everything crossed that your husband finds a cure for the pain, don't let those doctors rest until they get it sorted. Your Titus photo is wonderful, really made me laugh. Here's hoping that your husband finds a way to manage his disease and his pain. Keep after the doctors! Great progress on Hare's Christmas--it's one of my favorite designs. Titus is a scream and he's gorgeous any way you look at it, even if he's having a "bad hair day." Sorry to hear your husband is still having a rough time, I shall continue to keep you both in my thoughts and prayers. Congratulations on finishing Hannah and Hare's Christmas is looking lovely. Oh, Anne, it sounds like that two week break in December can't come soon enough for you. I can't imagine even putting together a post with all you have on your platter right now. Just worrying about your husband must be exhausting and I hope and pray the doctors can find the right combination of medications to help him lead a pain-free life. 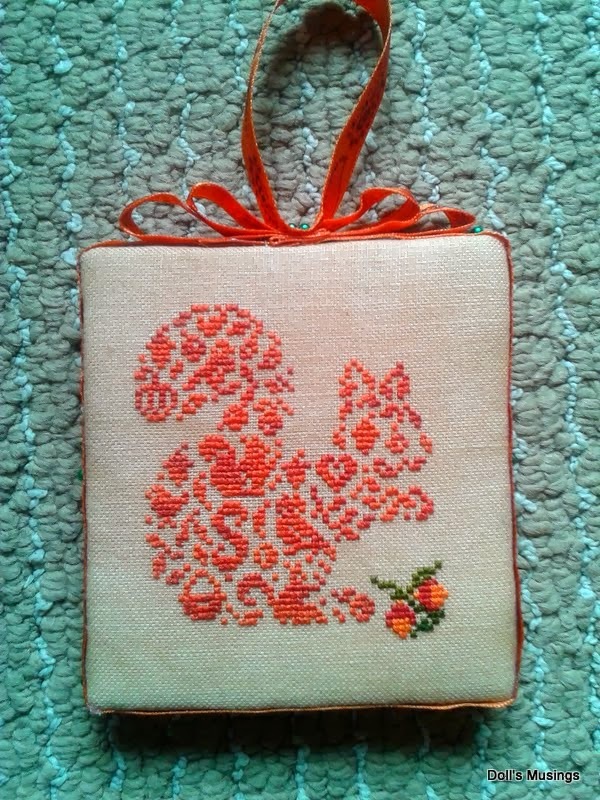 I'm glad you're still able to find at least a bit of time for your lovely stitching--it is so good for the soul to sit and relax for a couple of hours. Congrats on your win. The break sounds wonderful. Lovely pictures and Titus is adorable. Wishing your hubby a speedy recovery. Beautiful stitching Anne and a lovely win. I hope your DH continues to improve. Hahahhaahah why does your cat look like that??? LOL!! Hope things will continue to improve to your hubby! Stay positive! Oh my goodness, that picture of Titus!!!! I can't wait until my December 'break' too. Just got to keep telling myself just a few weeks more, just a few weeks more, etc. My husband has thyroid issues as well but he's one of the lucky ones and the meds work quite well for it.